Light manufacturing spaces can be used for product fabrication, assembly, finishing, packaging, repair, and processing of materials. Whether your new or growing business deals with textiles, electronics, cabinetry, or some other type of materials, the Quincy Business and Technology Center has a space available for lease. The QBTC is ready to accommodate heavy machinery, industrial equipment, and other technology in a functional space. You’ll have convenient access to plentiful parking, loading docks, a freight elevator and additional services. 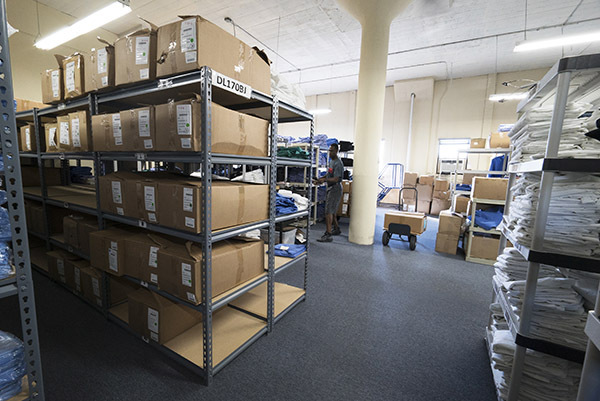 Choosing to expand your business from an office to a light manufacturing setup is a significant change that could benefit you for years to come with easier distribution capabilities. If your light manufacturing needs incorporate office space and storage or warehousing capabilities, you’ve come to the right place. Our facility consists of 67,000 square feet on five floors. Contact us for a tour of available space.